I love making over a room. I love all of the creativity and vision and work that comes with it. Early on in my marriage, it was not unusual for my husband to come home from work to find a room of our house completely rearranged from top to bottom. The first couple of times it happened, it really caught him off-guard. After awhile though, I think he practically came to expect it. Ha! We recently moved my daughter into a bigger bedroom. Let me just say, redoing a little girl room may be my favorite type of makeover ever. With #2 due in September, the list of house projects that I am hoping to get done this summer is pretty extensive. Because of this, and because I am working against a deadline that is just a few short months away, I chose not to repaint this room. Fortunately, it is a fairly neutral color, although it is a bit darker than my original vision. Even so, I am thrilled with the way the room turned out. So, let’s just jump into some pictures, shall we? Unfortunately, I don’t have any before pictures of this room. It originally served as an extra living space upstairs with a couch, TV, desk, etc. Over the past couple of years though, it slowly morphed into part play room, part dumping ground for everything that didn’t really have a place in the house. This, however, is how it looks now. The handmade blanket on the chair was actually my inspiration for the room. My grandma made most of this blanket for me, although she was unable to finish it. So, my mom found someone to finish it and then gave it to me a few months ago. 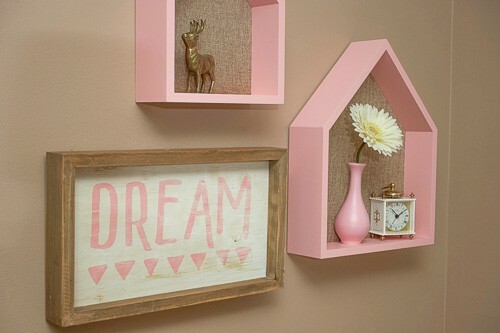 I knew the moment that I received it that I wanted to use pink and brown as the color scheme for the new bedroom. I love the way it turned out, and I just love all of the details in the room. Oh, the blessed sound machine. 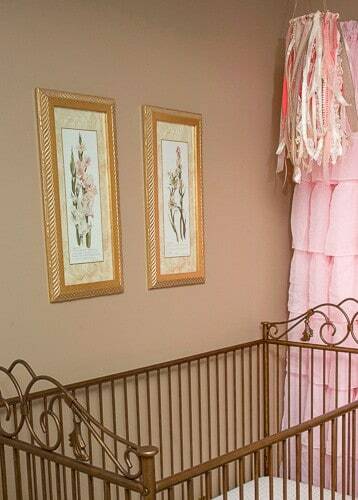 One of my first projects was the ribbon mobile that hangs above the crib. Click here to see how easy it was to make. I also love this set of flower pictures. They originally hung in my grandma’s house, and I have always thought they were so pretty. I had them hanging in a bathroom, but knew they would fit perfectly here. My next DIY project was the bow holder. 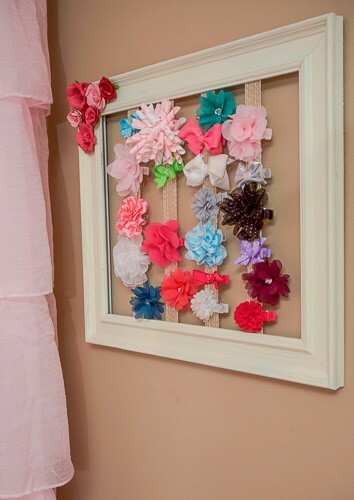 A good friend of mine made a bow holder for me before my daughter was born, and I loved having it in her nursery. It was such a great way to organize and keep track of all her bows. It was considerably smaller than this though, and unfortunately, didn’t fit the new color scheme. So, I made a new one. This was also a cinch to put together. See the tutorial here. 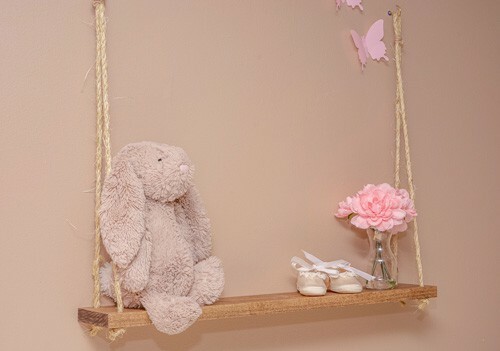 My final creation for her room was the decorative swing shelf that hangs above her chest of drawers. I absolutely love the way this turned out. It’s fun and different and a great way to display a few special things. Again, this was a breeze to whip up. Another element of her room that I adore is the teepee. I knew from the beginning that I wanted to put a teepee in this room. They are pretty popular right now, and I think they are just brilliant. What kid doesn’t love a good teepee or fort? My daughter was often asking my husband to build her one out of blankets. Now, she’s got one to play in whenever she wants. The forest behind the teepee was actually my husband’s idea. Shortly after we got her furniture moved in, I was wondering aloud about how I was going to fill all of the wall space behind the teepee. My husband suggested I find some sort of tree decal, and I thought it was a brilliant idea. This little wood table and chairs were mine when I was a child. My mom passed it on to me shortly after my daughter was born, and she absolutely loves it. It is the perfect size for her. While the Little People princess castle is not the most aesthetically pleasing element of the room, she spends hours playing with it. Literally. So, I wanted to make sure it was easily accessible for her. Finally, one of my favorite things in the room is this cross stitch piece. A good friend of mine made this shortly after she was born, and I just love it. I reframed it for this room, and hung it in a prominent spot. I’ve blanked some of the personal details out. Sorry! So, there you have it. My baby no longer lives in a nursery, but officially has a little girl room. How did that happen?! And now that it is done, we are on to the next project! Everything about this room is adorable Amy. 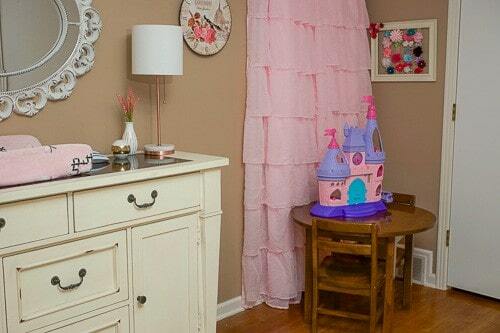 Makes me wish I had a little girl to decorate for. 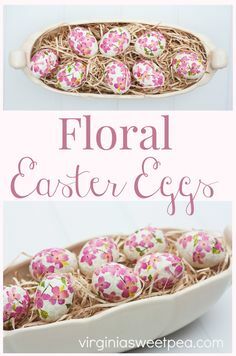 So pretty and girly and full of fun. I love the delicate little tee pee and the painted trees in the background. Hello. Visiting your blog from a share on The Boondocks. This room is absolutely precious. It was so much fun browsing. Can you tell me where you found the copper/white lamp. I’m a copper freak. Thank you so much! I got the little lamp at Target. You can also purchase it on Amazon, which is linked at the bottom of the post. I love the lamp, too! It’s very cute. Thanks for taking a look! Amy, you did a great job on this room! Agree that it’s fun to decorate for a girl! I love the teepee too. Congratulations! Little girls are so much fun! 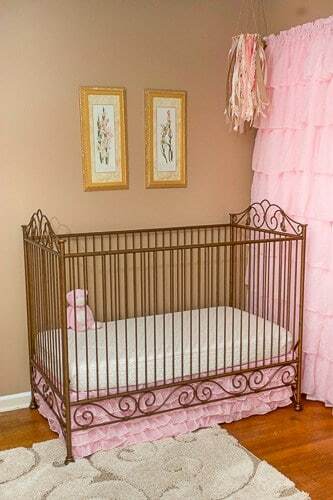 I’m sure the nursery looks absolutely perfect. And you’ve got plenty of time to get her a play tent. 🙂 Thank you so much for the kind words, and thanks for stopping by! 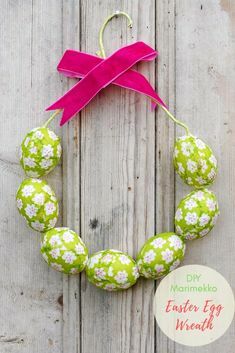 So many cute ideas. I love all the detail you have in the design. I especially love the tent. I am sure the tent will be played in for hours. Thank you so much! And yes, she loves the tent. It has been great entertainment so far. 🙂 Thank you for looking! I wouldn’t mind having one of those teepees! Looks like a great place to cozy up and read! Thanks for sharing at the Pleasures of the NW’s DIY Party! I know, me too! I’ve never looked to see if they come in adult sizes. Ha! Thanks for looking, and as always, thank you for hosting! 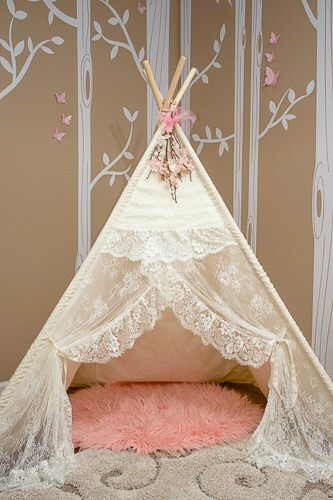 Such a pretty little girl’s room and the lace teepee is inspired. Super sweet room! Love the reading tent. That is so pretty! Visiting from Tutorials and Tips party. Thank you! The tent is pretty sweet. 🙂 Thanks for looking! What a sweet makeover, I want a tepee in my home now! True story – About 20 years ago my husband and I were involved in a race team So every night it was all grease, engines revving and stinky car exhaust. So I finally said I need a break and stayed home. He got home around 11, walked in and tripped over the couch because I forget to leave a light on. He finally figured out after 5 more years of stuff like that….don’t ever be surprised to see things moved in the house. I like change 🙂 At least now I usually leave a light on tho. Thanks for sharing this with us at the DI & DI Link Party. 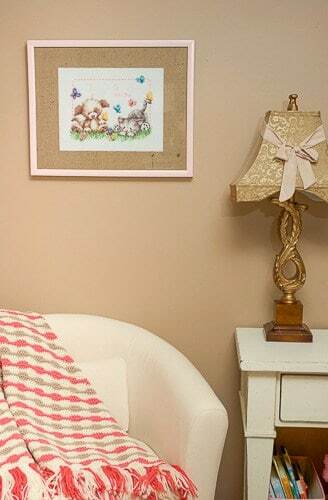 Hi Amy, This little girl room looks so adorable, everything is the room is so cute. Grandma’s hand mad blanket, bunny swing, the tent. Very nice and creative work, with lovely pink colour. I love every single thing about your dreamy little girls room Amy. It’s just the so perfect for a little girl. 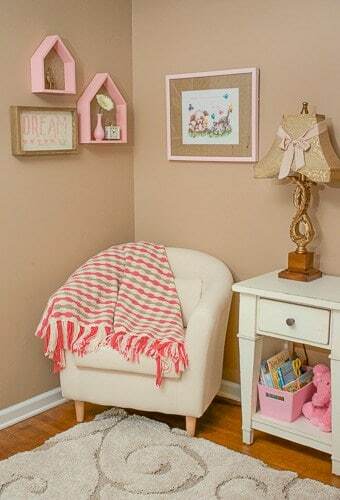 In fact I’d love to have a room like that as a big girl, but I’m not sure hubby would be happy with the pink Maybe I must do it gradually so he doesn’t notice until it’s too late. 😉 The room is really stunning. Haha! I think I could be happy living in this room, as well. And I know what you mean about the pink. It’s my favorite, but I have to be careful with my usage outside of my daughter’s room. 😉 I like the idea of adding it gradually though… Thanks so much! Thank you! I, too, love the fact that I was able to use so many sentimental items. It makes it mean that much more. Thank you so much for taking a look! What a sweet bedroom! I love all the girly accents, and that reading teepee! Both my girls would go nuts over that room. Thanks so much for sharing at the #happynowlinkup! Thank you! I’m kind of in love with the reading teepee myself. 😉 Thanks for hosting every week! The room is adorable. I love the little tepee – I would have been in heaven as a child to have that in my room. Thank you! And yes, I love the trees. As I was pondering what to do with all the space behind the teepee, my husband suggested some sort of tree decal. It was the perfect suggestion! Hi amy, such a darling little girls’ room. You are so right, decorating for a little girl is a lot of fun. Love the soft pink! Using pieces with sentimental value is the best. I wanted to inform you, i am featuring your sweet little girls’ room this Sunday at Dishing it & Digging It. happy Memorial Day weekend. Oh, thank you so much for the feature! I’m so excited! This room was so much fun to put together, and I was so glad that I could put so many family items in the room. Thanks so much for hosting! Thank you so much! The teepee has definitely been the hit of the bedroom, and the sound machine is a lifesaver. I actually do have one for myself. 🙂 Thanks for the share! Have a great holiday weekend! Hi Amy! 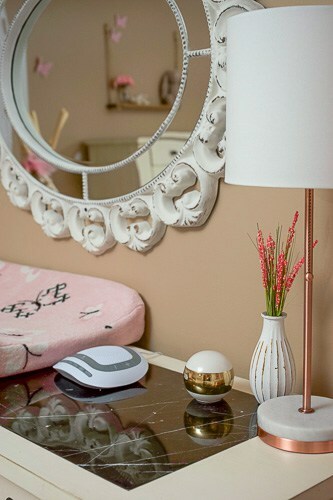 I love this adorable room and all of the girly decor 🙂 What a gorgeous makeover! Thank you so much for sharing with us at Dishing It & Digging It & congratulations on being featured this week! Thanks so much! And thank you so much for the feature! Your little girl is very fortunate to have such a beautiful room. It shows the love and care you provide her with. Its absolutely beautiful. Wow, it came out just gorgeous! I especially love that teepee- it’s beautiful and something my kids would play with forever! Thank you so much! The teepee has definitely been the hit of the room – with both my daughter and my cats. 🙂 I’m hoping she’ll get some good use out of it for quite awhile. Thanks again! Super cute!!! I love the teepee idea. Great place to read or cozy up. Great job!!! Thank you! I think I would have loved a teepee like this as a kid. Actually, I’m pretty sure I would love a space like that now! Thanks again! I love it! So cute! I have been contemplating how to redecorate my daughter;s room recently and this was inspiring. Thanks so much! Redecorating is so fun! Sometimes it’s hard to get started, but once you have an idea in mind, it really is great. I’m sure you’ll come up with something amazing. Thanks for the great compliment! This is absolutely beautiful!! 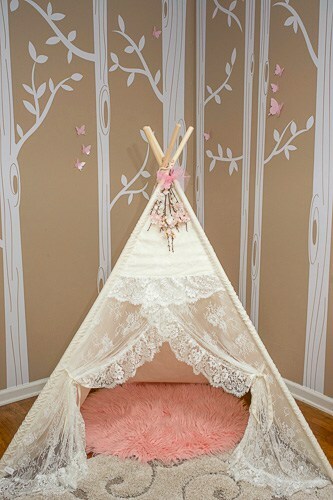 I was about to buy that exact same teepee for my girls’ playroom but my husband convinced me that my super rough girls would rip the lace. I’m so wishing I didn’t give in to him now! Great job on this room; it’s so pretty! Thank you! I wasn’t really concerned about my daughter ripping the lace. I didn’t, however, consider the fact that my cats would think that it was a fun new toy for them… So, I have had to careful about keeping the cats away from the tent. Hopefully, it will hold up to all of them! Thanks again! This is so amazing – great job! Here I was proud of myself for sewing my own mini-crib sheets! You need to Pinterest the crap out of this post! Thank you so much! Your last sentence made me LOL! And believe me, sewing is not one of my talents. So, I am in awe of the homemade mini-crib sheets. Thanks again! This room is amazing. I love everything about it, especially the play tent. I know you will cherish the blanket your grandmother made for you. It’s lovely. Thanks for sharing on Sunday’s Best. Thank you! And yes, I love the blanket, as well as many other items in her room. It’s great to have so many meaningful things to use. Of course, the new things – like the tent – are great fun, too! 😉 Thanks again! Amy, this room is so pretty. All the little touches make it so special. And the fact that you created the room around the blanket that your Grandma made is the cherry on top. Your little one will grow up surrounded by love, knowing that each piece is special and made or chosen with her in mind. Love the the teepee and the decal behind it is perfect! Thanks so much, Nikki! She certainly loves the room now, although she’s not old enough to appreciate the sentimental things yet. Hopefully, she will grow into all of that, and enjoy it as much as I do. 🙂 Thank you for the wonderful compliment!